Real estate investors are always estimating and speculating. The amount of money you make or lose is directly related to your estimating skills. 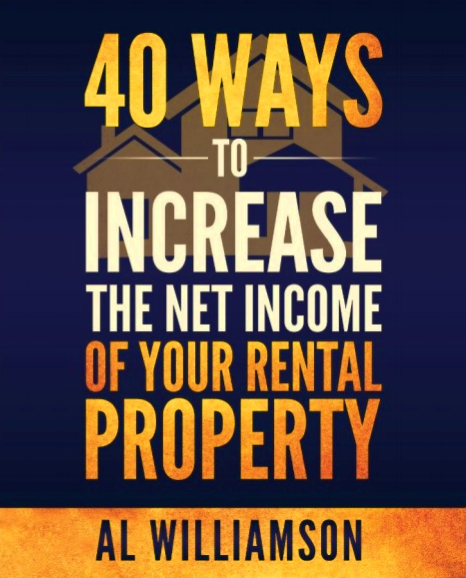 Here’s one of the best landlord tips I know that can make you a better estimator and richer too. In Douglas Hubbard’s book “How to Measure Anything: Finding the Value of Intangibles in Business”[affiliate], he presents a method of putting bounds around fuzzy issues in a way that helps you clarify your thinking. He calls it the Rule of Five. Hubbard says that if you collect five random samples, then you can be 93% certain that the median (let’s call it the most likely answer) will be between the smallest and largest result. In other words, with just five survey results, you can define the range in which your “most likely answer” lives. It works out because you learn something with each observation you make. And if you make 5 random observations, you statically know enough to make a good decision. A. Say you want to know how many times per week your tenants might use a vending machine you’re thinking about buying. 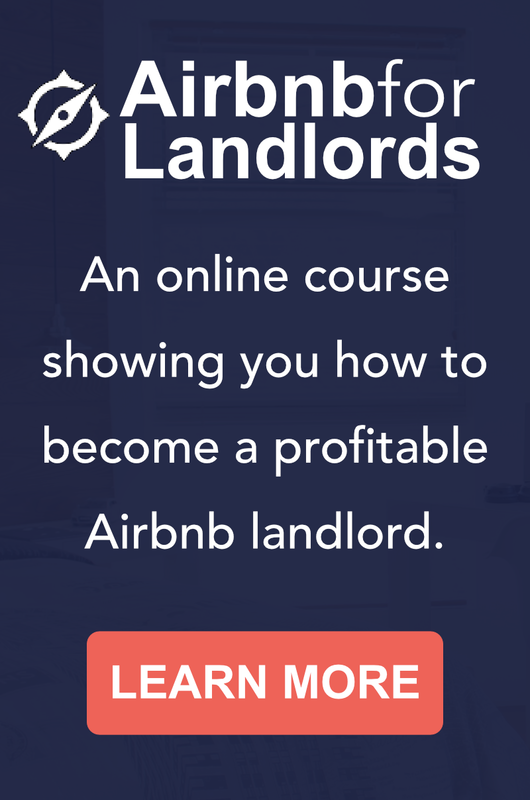 Simply ask five randomly selected tenants if they’ll use it. If their answers range between 0 and 3 times per week, then you could say with 93% certainty that they’ll use it once or twice a week. B. Say you’re thinking about buying a rental in a certain neighborhood and want to serve workers at a nearby business. Ask five randomly chosen workers if they’d consider living in that area. Have them give you an answer on a 1 to 10 scale – with 10 being the most favorable mark. If responses range between 1 to 5, then you should conclude that those workers do not think well of that neighborhood and wouldn’t rent a home there. C. If you want to know if you got a fair estimate for a window replacement, then post a question on BiggerPockets. BiggerPockets is a real estate investment forum with over 500,000 members and you’re sure to get five people to give you their opinion. Once you get five responses, you’ll know if your estimate is reasonable. D. If you’re trying to implement the Landlord-Driven Neighborhood Restoration investment strategy that I write about, this technique will help you measure improvement in your community. For example, the presence of a mayor-like figure is critical for an up-and-coming neighborhood. Polling five random people will help you identify who that person is. Sounds too easy? Well, the only catch is the “random” part. To get really good answers you need to put away your personal bias. But how you can do that? 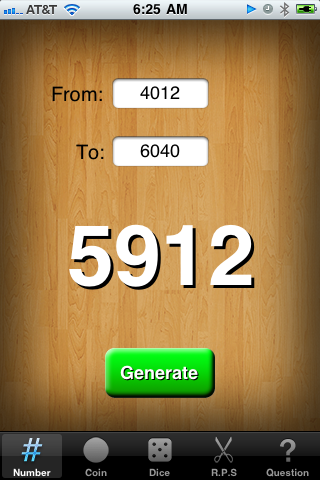 Play with the “RandBetween” function in a spreadsheet program, www.random.org, or a random number generator app on a smartphone. These tools can generate random numbers within the max and min values you sselect. If you want to randomly pick five homes on a street to study, you could input the street’s lowest and highest address into your random number generator app and WHAMO – the function will suggest an address. Repeat five times, of course, to get five random suggestions. (3) Monitoring neighborhood improvement in ways that bolster public perceptions. 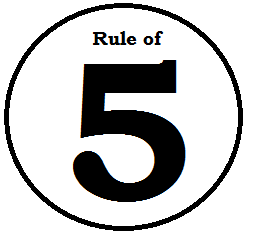 Please leave a comment on how might use the Rule of Five. Great article! Quick math skills are a vital part of real estate investing! The “rule of 5” can help give an investor a “rough estimate” of how the implementation of a certain idea will pay off! The number 5 is a comfortable number. Five is not as easy as 3 nor is it as complex as 10!